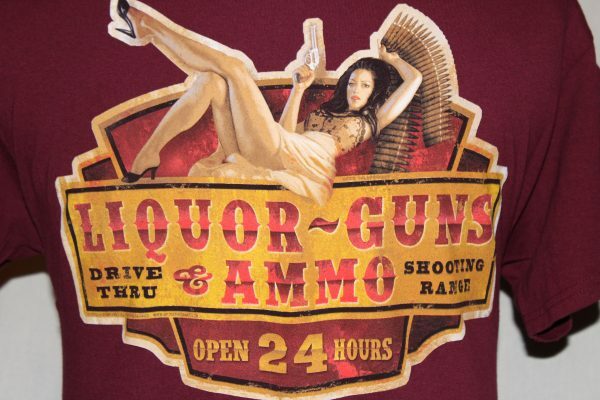 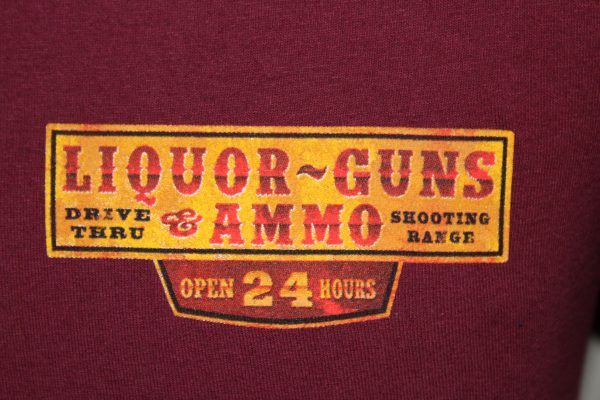 The Liquor Guns Ammo T-shirt is a two sided print in burgundy. 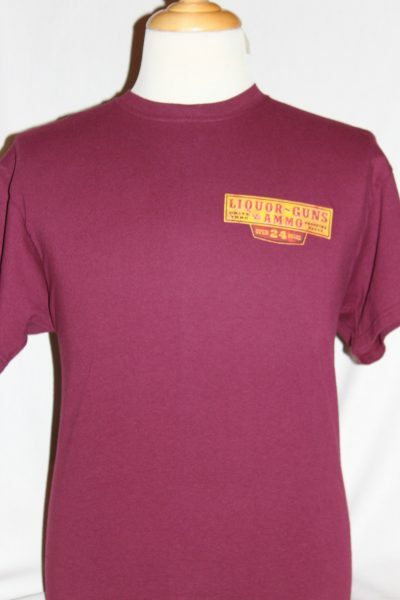 Front Design: Left chest sign plate with text. 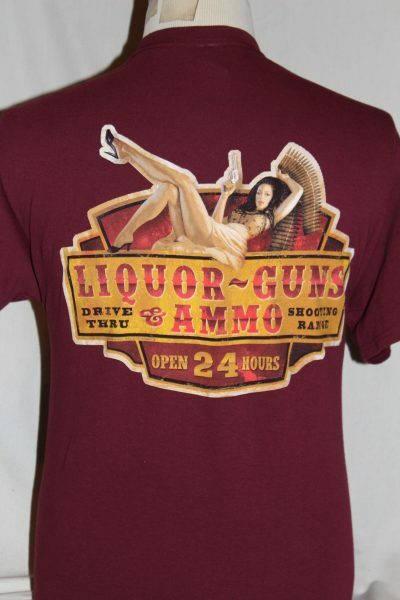 Back Design: Same as front with a girl, pistol, and machine gun belt added.